*Fill e-requisition form for market value assessment, stamp and registration fee. *If you are a new user, you need to fill up new requisition form. If you are logging back again, you can finish your incomplete requisition form. *New users will be redirected to guidelines page where buyers should read all the terms and conditions, rules for filling the assessment form. Select ‘Read and Please Proceed’. *New users need to fill three forms. First form is- ‘Applicant and Transaction’. Here you need to feed the applicant’s details, property details and transaction related details. The applicant could be the buyer, advocate, seller, deed writer, solicitor firm or attorney of claimant. Save the form. 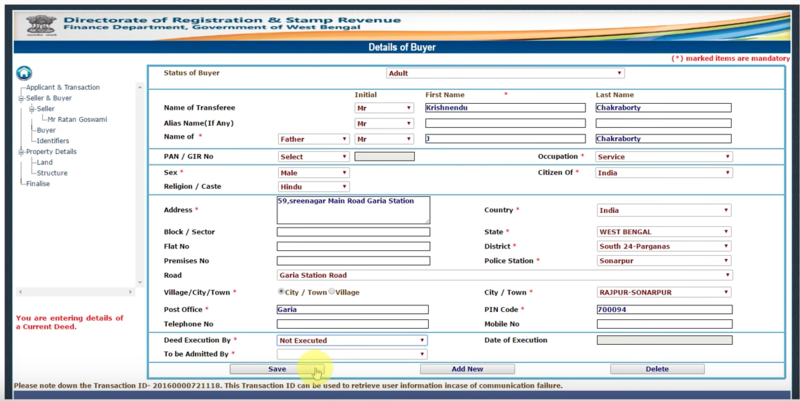 *Once you save the form, user will be redirected to next form- ‘Details of Seller’. Fill the details and save the form. You can also add details of more than one seller if it is a joint property. *Fill the details of buyers in the next form. Add all the required details or the form will be deemed incomplete. Mention the name of all the joint buyers. *In the last form, you need to add identifiers or witness details. *In the next section, mention the details of the property such as district, local body, ward number etc. 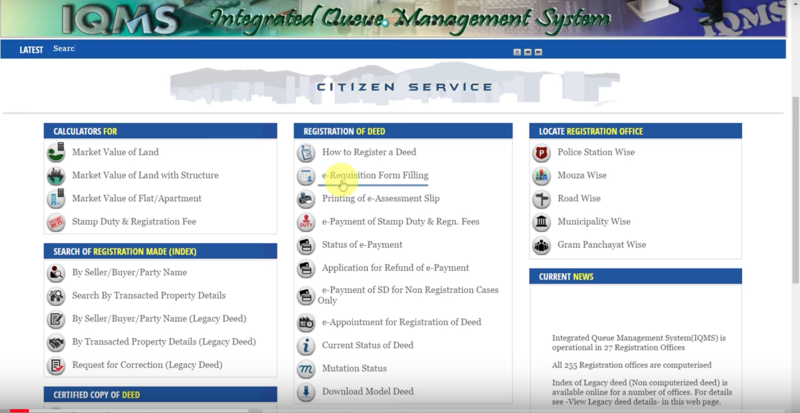 *Once you save the form, you need to select the registration office or the place where you want to register the deed. Select the suitable office and generate your query number. This number will be used for stamp duty payment. *Go back to the home page and select the option stamp duty payment. *Feed the query number and query year. Enter the bank details of the buyer in case if there is any refund to be credited. 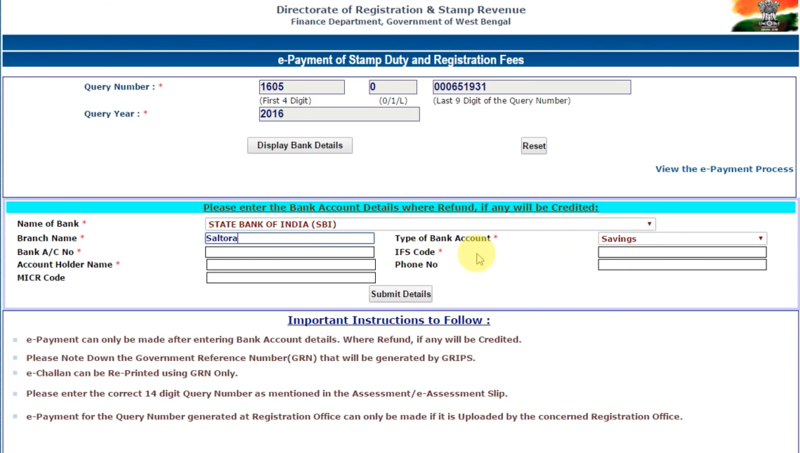 *Fill in all the details such as depositor’s name, query number. Proceed with the amount and payment details. Confirm all the information and make the payment through net banking. Save the government reference number for future purposes. 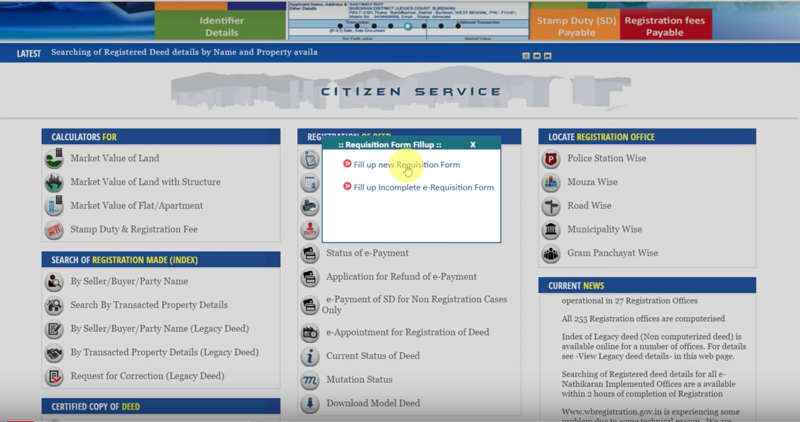 *Go back to home page and take an appointment for registration of deed by feeding in the query number and year. *A registering office will verify all the details mentioned by you in the online form. Take all the original documents along with the attested photocopy. *Here your deed will be scanned and fingerprint and signature will be captured. *Once the application is verified, your deed will be delivered which will be digitally signed by the registrar office. February 16, 2019 Stamp Duty: What are its Rates & Charges on Property?